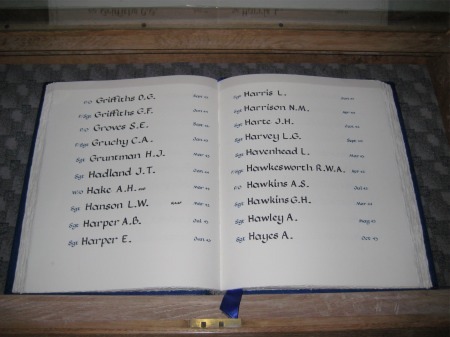 The Diocese of Long Island DAG maintains a Book of Remembrance through donations, as memorials for loved ones who were once altar guild members or involved with altar guild and have passed on. 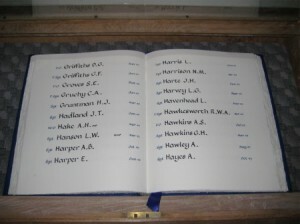 A record of names, dates and parish/diocesan affiliation are beautifully printed and embellished with flowers or other suitable designs in a journal type book. The names are read aloud during the Prayers of the People at the DAG Annual Meeting/Book of Remembrance Eucharist. The book is also on display at important altar guild and diocesan events accompanied by a candle and/or a small plant or flower arrangement. A small donation of at least $10.00 per name is requested and the total proceeds for that year are given to a parish or diocese with special needs. The Book of Remembrance chair, appointed by the DAG President, notifies the family of the memorial and invites them to the book of Remembrance Day Eucharist. In the past, the DAG of Long Island has reached out to a Native American priest in South Dakota enabling her to purchase a fair linen for an altar; monies were sent to the Dioceses of Louisiana and Mississippi to help altar guilds after the devastation of Hurricane Katrina; and this year a gift was sent to the altar guild in a parish located in Gulfport Mississippi as the result of an article that appeared in Epistle. This is a meaningful way to remember a parish or diocesan loved one who has passed on and at the same time do some altar guild outreach.